When trying a new recipe, you know you've hit the jackpot when the picky eater reaches for seconds and the husband asks if the next batch is going into the oven soon.. This does not happen too often chez moi... but sometimes it does.. and when it does.. I do my happy dance... then reach out for the laptop to share the excitement with you. So it was a lazy Sunday morning and me, in an effort to get my three and half year old excited about food, decided to play kitchen with him. As we have already mastered the art of making smoothies and have also realized that mixing muffin batter is a child's play, this time we wanted to try something new, something a little more involved but playful nevertheless. A glance at the recipe archive reminded me of Giada's Cheese Pastry Puffs.... Perfect I thought... and quickly decided on the game plan. 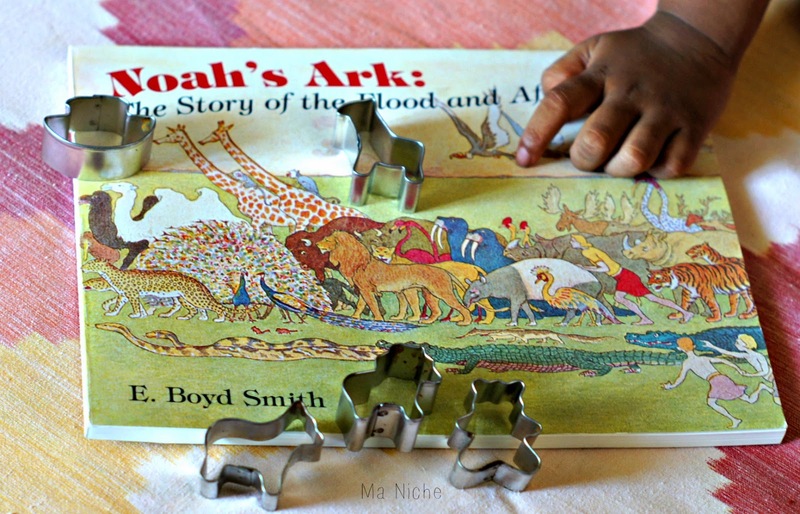 Now... tying up any activity with story-time is always fun, so I decided on Noah's Ark as the theme for the morning, pulled out my box of Noah's Ark Cookie cutters, the story book, crayons and a drawing book. The plan was to start off with the dough and while it sat in the refrigerator we would read the story, draw and color a boat with animals in it, then cut out the chilled dough, bake them and enjoy them with juice.. In the mixer-blender, blend the olive oil, tahini, peas, garlic to a paste. Add the remaining ingredients to the paste and mix well until you have a smooth dough. 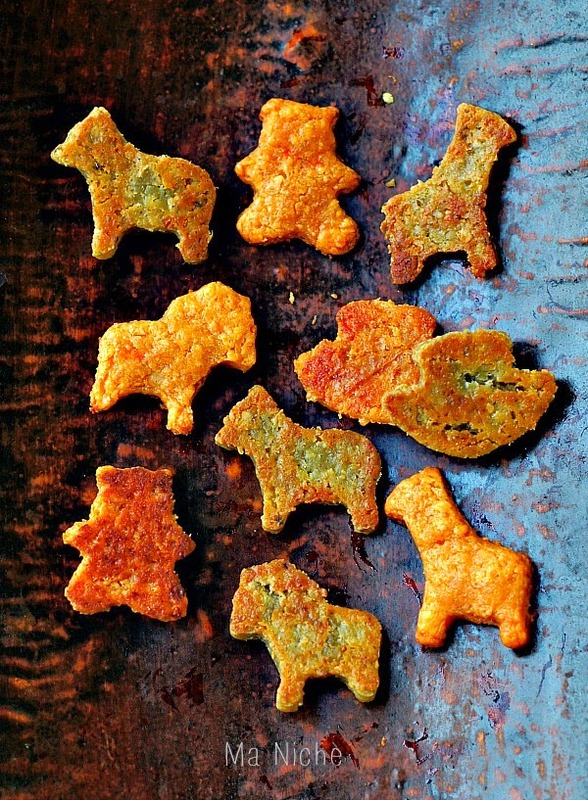 Bake them for 10­-15 minutes depending on the size and thickness of the puffs. When done, they will puff up and brown slightly on the edges. You can also use roasted red bell pepper in place of the boiled green peas and make some bell pepper and feta cheese puffs. These pea feta pastry looks awesome, I would like to taste some now. Nice to meet you in the journey of blogging. Thank you so much. We really liked these... hope you too like them. Delicious Pea and feta pastry it is really cute, thanks for sharing with Hearth and soul blog hop, pinning, tweeting and sharing in google plus. Thank you so much for sharing Swathi. 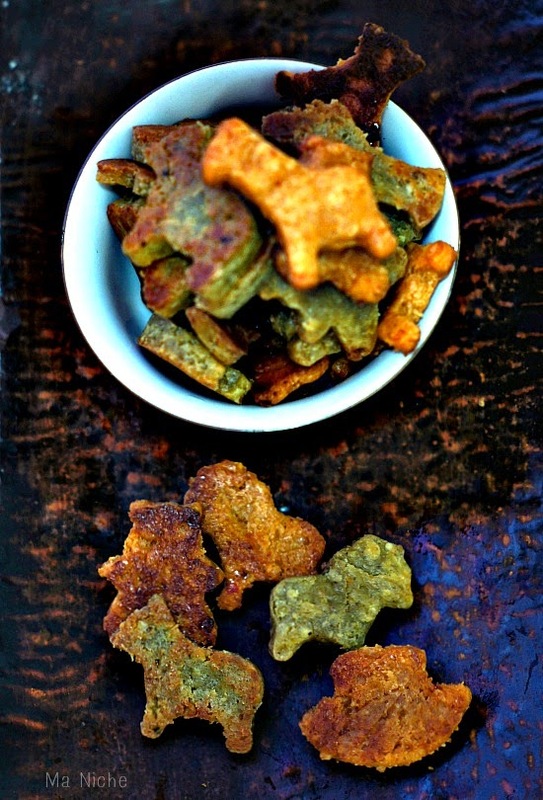 It is always a pleasure to share recipe at Hearth and Soul blog hop. It's lovely that you are letting your little one help in the kitchen, Tanusree. It is such a wonderful way to teach kids about so many things as well as creating lovely memories. 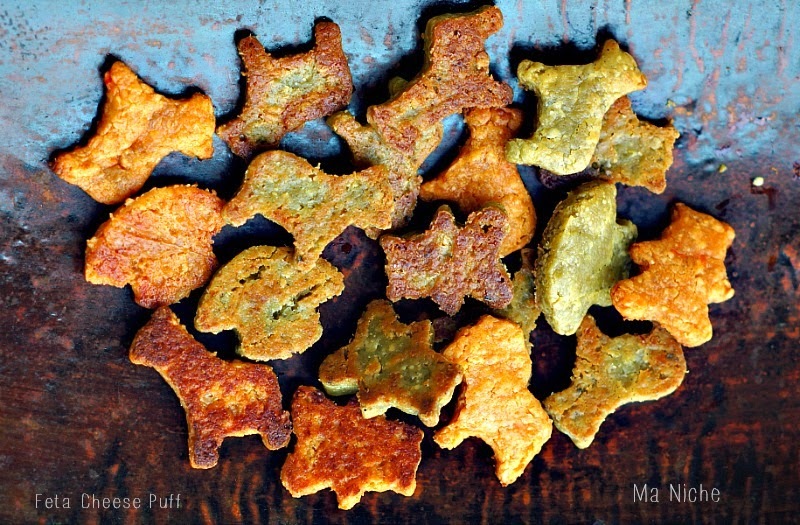 Your Pea and Feta Cheese Puffs look tasty and fun and I love that the recipe is wholesome and good for you too! Pinned to my "kids in the kitchen" board on Pinterest. What a special treat, we would love it! Hope you are having a great week and thanks so much for sharing with Full Plate Thursday.